I always think “There’s tomorrow. I can paint my kitty tomorrow.” But don’t put off painting those you love “till tomorrow.” I’m glad I painted this little girl now, and I have 3 more kitties to go before I can begin with the first one again. 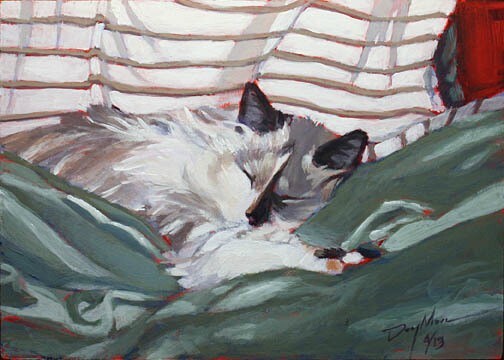 This entry was posted in cat, Painting and tagged black, cat, kitten, kitty, pet on April 5, 2013 by mikedaymon.